Examining Quran 9:29 – does Islam sanction the killing of Christians and Jews? 9:1 [This is a declaration of] disassociation, from Allah and His Messenger, to those with whom you had made a treaty among the polytheists. 9:2 So travel freely, [O disbelievers], throughout the land [during] four months but know that you cannot cause failure to Allah and that Allah will disgrace the disbelievers. 9:3 And [it is] an announcement from Allah and His Messenger to the people on the day of the greater pilgrimage that Allah is disassociated from the disbelievers, and [so is] His Messenger. So if you repent, that is best for you; but if you turn away – then know that you will not cause failure to Allah . And give tidings to those who disbelieve of a painful punishment. 9:4 Excepted are those with whom you made a treaty among the polytheists and then they have not been deficient toward you in anything or supported anyone against you; so complete for them their treaty until their term [has ended]. Indeed, Allah loves the righteous [who fear Him]. 9:5 And when the sacred months have passed, then kill the polytheists wherever you find them and capture them and besiege them and sit in wait for them at every place of ambush. But if they should repent, establish prayer, and give zakah, let them [go] on their way. Indeed, Allah is Forgiving and Merciful. 9:6 And if any one of the polytheists seeks your protection, then grant him protection so that he may hear the words of Allah. Then deliver him to his place of safety. That is because they are a people who do not know. 9:7 How can there be for the polytheists a treaty in the sight of Allah and with His Messenger, except for those with whom you made a treaty at al-Masjid al-Haram? So as long as they are upright toward you, be upright toward them. Indeed, Allah loves the righteous [who fear Him]. 9:8 How [can there be a treaty] while, if they gain dominance over you, they do not observe concerning you any pact of kinship or covenant of protection? They satisfy you with their mouths, but their hearts refuse [compliance], and most of them are defiantly disobedient. 9:9 They have exchanged the signs of Allah for a small price and averted [people] from His way. Indeed, it was evil that they were doing. 9:10 They do not observe toward a believer any pact of kinship or covenant of protection. And it is they who are the transgressors. 9:11 But if they repent, establish prayer, and give zakah, then they are your brothers in religion; and We detail the verses for a people who know. 9:12 And if they break their oaths after their treaty and defame your religion, then fight the leaders of disbelief, for indeed, there are no oaths [sacred] to them; [fight them that] they might cease. 9:13 Would you not fight a people who broke their oaths and determined to expel the Messenger, and they had begun the attack upon you the first time? Do you fear them? But Allah has more right that you should fear Him, if you are [truly] believers. 9:14 Fight them; Allah will punish them by your hands and will disgrace them and give you victory over them and satisfy the breasts of a believing people. When we read from verse 1, it states that there was a treaty which the Pagan Arabs broke. Thus, Allah in the Quran says, that HE gave them four months. Verse 9:4 states that Allah will punish those who broke the treaty, this verse is only aimed at those who broke the treaty, it did not affect those who abided by the treaty. When we read the passage (9:5), it is evident, it’s talking about a war with the pagan Arabs. This was a historical event that happened in the lifetime of Prophet Muhammad (p). Furthermore, verse 9:13 provides proof that it was the pagans who started this war. The verse states, “Would you not fight a people who broke their oaths and determined to expel the Messenger, and they had begun to attack you first?” This is proof that Prophet Muhammad (p) did not start this war, but it was those treacherous pagan Arabs that started to expel and fight the Messenger. John Medows Rodwell What! will ye not fight against those Meccans who have broken their oaths and aimed to expel your Apostle, and attacked you first? Will ye dread them? God is more worthy of your fear, if ye are believers! N J Dawood Will you not fight against those who have broken their oaths and conspired to banish the Apostle? They were the first to attack you. Do you fear them? Surely God is more deserving of your fear, if you are true believers. The verse shows that if any of the idolaters who broke the treaty, and wanted protection, that they should granted protection and deliver him to his ‘place of safety’. This shows even when they who broke the treaty – when they attacked the Muslims first, the Muslims were commanded by Allah to make peace if they asked. Hence, it’s evident reading the verses in its context that this was a war of self-defence against those pagan Arabs who broke the treaty and attacked the Muslims. …….the Verse of the Sword deals specifically with the situation of Meccan polytheists breaking peace treaties and openly declaring war on the Muslim polity. The verse, then, commands the Muslim state to take up arms and defend itself against those that breached their covenants and attacked out of treachery. This explanation is confirmed by the most reliable Imams of Qur’anic exegesis [tafsir], including Imam Razi, Imam Jamal, Imam Zamakhshari, Imam Baydawi, Imam Nasafi, Imam Biqa`i, and others. “5 Lit., ‘Until their term’. 7 Read in conjunction with the preceding verses, as well as with 2:190-194, the above verse relates to warfare already in progress with people who have become guilty obligations and of aggression. • There are many verses in the Qur’an stating that those who coexist peacefully with Muslims are entitled to justice, compassion, and respect, irrespective of their religion (60:8-9) as long as they are peaceful with Muslims. • If it were true that the Qur’an instructs that any non-Muslim should be killed because of his or her religion, then what would explain the fact that religious minorities through 1,400 years of Muslim history not only survived, but also thrived and found freedom to practice their faiths under Muslim rule? Clearly, Muslims as a people were not perfect, yet there were times when they had enough power to eliminate almost all non-Muslims under their rule. The historical record shows that they did not abuse this power. The restraint they showed seems to be influenced in the first place by the Qur’anic injunctions against coercion in religion. 9:5 Regarding the significance of sacred months see notes to v. 2. Many malicious critics of Islam fully exploited the outward message of the verse to project a seriously distorted picture of Islam and concluded its militant stance is the cause behind many of the hostilities in the world. Their basic analogy is how this religion, bearing a name of peace, could teach killing innocent people. The critics try to portray every Muslim is required to slay every non-Muslim wherever they may find them, at peace time or otherwise. In this context, it is important to note that nowhere in the Qur’ān, free permission was given to kill anyone anywhere. Therefore, the message of the verse must be objectively analyzed and interpreted in context of the revelation and its application must be done in circumstances similar to that necessitated the revelation. 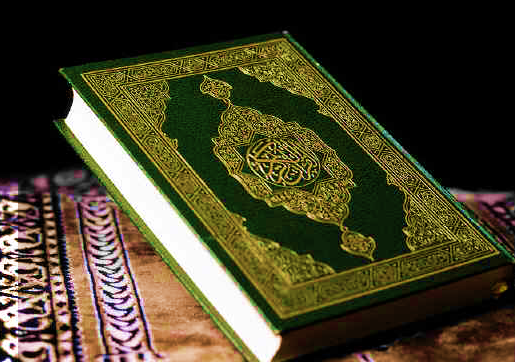 Regardless of the name or intent of the religion, the Qur’ān, being a complete guide for every problem at personal, communal and state level, must address what should be done if fundamental rights of a community or a nation are violated due to armed aggression and appropriate collective redress cannot be established due to lack of a system to assure peace or disinterest and/or inability of a system to solve the crisis. With or without the Qur’ānic instruction, a Muslim community or a nation is expected to react exactly the same way a non-Muslim community or a nation would react if they are attacked or war is waged against them. Only difference is a non-Muslim community or a nation would defend itself against hostile aggression or war out of their instinctive or constitutional right to protect them, without having to recourse to their scriptures. Since no other scripture claims to contain ‘complete guidance’ for mankind, it is no surprise to see they do not address complex socio-political issues of war and peace. Before giving the permission to capture, wait in ambush or slay the unbelievers, the Qur’ān made it clear to comply with peace treaty with those who are willing to uphold it (previous verse). It must be remembered that initiative for all peace treaty was made from the Muslim side, as war was not seen as an objective of Islam. It must also be remembered that in the pre-Islamic era and during the development of Islamic era, annulment of peace treaty between two hostile tribes was nothing but declaration of open war. The Muslims were therefore, specifically instructed to fight against those tribes that annulled peace treaty. In this regard, specific notation of 2:190-193 may be made that say: and fight in the way of Allāh against those who fight with you and do not transgress. Thus, war is permissible only in self-defense, and not as an act of active aggression. While in a war Islam permits everything necessary and advisable in warfare, yet it prohibits undue aggression in war (2:190, 193; 8:39,61-62). 4a. Only two tribes, the Bani Damarah, and the Bani Kananah, are related to have adhered to their treaties. The exception given here makes it clear that the Muslims were not fighting with the idolaters on account of their religion, but on account of their having been untrue to their engagements. 5a. The clear exception of the last verse shows that by the idolaters here are meant, not all idolaters or polytheists wherever they may be found in the world, not even all idolaters of Arabia, but only those idolaters tribes of Arabia assembled at the pilgrimage who had first made agreements with the Muslims and then violated them. 5b. The exception here has given rise to much misconception. It is thought that it offers to the disbelievers the alternative of the sword or the Qur’an. Nothing is farther from the truth. The injunction contained in the first part of the verse establishes the fact that the whole verse relates to certain idolatrous Arab tribes who had broken their engagements with the Muslims, and who had now been apprised of a similar repudiation by the Muslims. The order to kill them and to make them prisoners and to besiege them and ambush them amounts clearly to an order to fight against them, as it is in war only that all these things are made lawful. They had so often broken their word that they could no more be trusted. Yet, if they joined the brotherhood of Islam, and there was an absolute change in their condition, the punishment which they otherwise deserved could be remitted. It was a case of forgiving a guilty people who had repented. It should also be noted that a mere confession of the faith is not required; what is required is an absolute change, so that the old crimes are all abandoned. Therefore, along with the confession of the faith, it Is required that they should keep up the prayer and pay the poor-rate. The subject is further clarified in the next verse and the following section. 6a. This verse leaves no doubt that the Prophet was never ordered to kill anyone one account of his religion. “You shall give a safe-conduct that he may return home again securely in case he shall not think fit to embrace Islam” (Sale). 7a. So long as the idolaters were true to their agreements, the Muslims were required to be true to them. Just as in the case of war, the Muslims were not allowed to fight until the enemy had first attacked, so, in the case of repudiation of agreements, it was the enemy who first repudiated the agreement. 1155A. ‘The forbidden months’ are the four months of Dhu’l-Qa’dah, Dhu’l-Hijjah, Muharram and Rajab, the first three being the months of the Greater Pilgrimage, while in the last the Arabs generally performed the lesser pilgrimage or ‘Ummah (2:195 & 2:218). The term Ashur Al-Hurum does not signify ‘sacred months’ but ‘forbidden months’ and refers to the four months mentioned in 9:2 above. In these months the above-mentioned idolaters were granted protection to travel through the land and see for themselves whether Islam had not triumphed and whether the word of God had not been fulfilled. At the end of this period, during which all hostilities were to remain suspended, war was resumed against such avowed enemies of Islam as had themselves started hostilities and had repeatedly broken their plighted word. The reason for this ultimatum is given in vv. 9:8-13. As for those idolaters who had not been guilty of faithlessness and treachery, they were to be protected (9:4, 7). 1156. Those idolaters who had fought with the Muslims and not yet asked for a fresh treaty with them. 1157. Even those enemies of Islam at whose hands Muslims had suffered very grievous losses were to be forgiven if they repented and accepted Islam of their own free will. In fact, there was a large number of men among the idolaters who, in their heart of hearts, had been convinced of Islam, but who, either pride or fear of persecution or other considerations, had refrained from open confession of faith. This verse assured such people that if anyone of them declared his faith in Islam even during the war, his confession would not be taken as hypocritical or as having been to save his skin. 1158. The verse clearly establishes the fact that war with idolaters was not undertaken in order to force them to embrace Islam, because, according to it, even when a state of war existed, idolaters were to be permitted to come to the Muslims’ camp or headquarters if they desired to investigate the truth. Then, after the truth had been preached to them and they had been acquainted with the teachings of Islam, they were to be safely conducted to their place of security, if they did not feel inclined to embrace to the new faith. In the face of such clear teachings, it is the height of injustice to accuse Islam of intolerance or o using or conniving at force; for its propagation. 1159. The verse shows that war was permissible only against such non-Muslims as had repeatedly violated most solemn covenants and had attacked Muslims treacherously. As for the rest, Muslims had been bidden to observe their engagements with them strictly and faithfully. Like 9:4, this verse describes the observance of covenants and treaties as an act of piety and righteousness which is pleasing to God. The Qur’an repeatedly and most emphatically exhorts Muslims to be faithful to their treaties. Permission to fight the enemy is balanced by a strong mandate for making peace: ‘If your enemy inclines toward peace, then you too should seek peace and put your trust in God’ (8:61) and ‘Ha Allah wished, He would have made them dominate you, and so if they leave you alone and do not fight you, and offer you peace, then Allah allows you no way against them’ (4:90). From the earliest times, it was forbidden in Islam to kill non-combatant as well as women and children and monks and Rabbis, who were given the promise of immunity unless they took part in the fighting. But what of those verses, sometimes referred to as the ‘sword verses,’ that call for the killing unbelievers, such as, ‘When the sacred Months have passed, slay the idolaters wherever you find them, and take them, and confine them, and lie in wait for them at every place of ambush’ (9:5)? This is one of a number of Quranic verses that are cited by critics to demonstrate the inherently violent nature of Islam and its scripture. These same verses have also been selectively used (or abused) by religious extremists to develop a theology of hate and intolerance and to legitimate unconditional warfare against unbelievers….. the full intent of ‘When the sacred months have passed, slay the idolaters wherever you find them’ is missed or distorted when quoted in isolation. As we said before, this verse expresses the peacefulness of Islam and the prophet’s basic desire for peace; that peace is the rule, hostilities are the exception, even with former belligerents and enemies such as the Qurayshites, peaceful coexistence is preferable, should they be willing. The idea is that and enemy may fight the Muslims out of ignorance and hatred … Therefore every chance for peace and reconciliation must be seized to educate him, and remove the subjective factors of hate and prejudice. About Zakaria Bashier (b.1940). He obtained his BA and M.litt. in Philosophy from the Universities of Khartoum, Sudan and Durham, UK respectively, and his PhD on Islamic Philosophy from the University of Pittsburgh, USA. Apart from holding faculty positions at the Universities of Sudan, Saudi Arabia, UAE, he had also been the Vice Chancellor of the University of Juba, Sudan. Jazakhallahu khair for your in dept study of surah 9 ayat 5. May Allah Swt reward you and us all Ameen Summa Ameen. I will address Surah 9:123 soon in the upcoming article(s) In’Shaa Allah. Quite academically educative article as usual. Reblogged this on Forever Islam. More propaganda to whitewash the violence that you find in the Quran. 9:4 doesn’t say at all that the polytheist broke any treaty. It says you can kill all the polytheist “except” those with whom you have made a treaty, but only until the treaty is over. Supposedly you can kill them after…. Of course, 9:6 says that “if they repent” or accept islam they won’t be killed, shamefull! Please, you talk as if this was the only violent text of the Quran. The Qura is full of violence and the number of violent text are much suprior to the moderate ones. I came here to try to find the truth to defend Islam and muslims from those that say they are all violent. Disturbingly, what I am gathering is anyone who questions your religion is a “malicious critic” or an “islamophobe” or “deliberately ignoring context”. I’m sorry, but trying to understand these texts is not simple. If you are going to attack people that question it, you will certainly not win any arguments and will only push people away. Let me say, I am sorry if you got the feeling that I attack critics who criticises Islam in my writing. My article and everything I have stated refers to those critics who deliberately mislead and lie about our Scripture. And when corrected they still continue with their false ideas. I have always welcomed anyone questioning my religion intellectually. No one has a problem with that. This is actually in response to Gina’s comment! Gina – Why is it that you commented on ‘Discover The Truth’ response but not on Kim’s comment such as calling this article ‘propaganda, whitewash, and so on? According to my understanding of your comment, it is OK for Kim to attack the Quran and say it is full of violence, but it is not OK for ‘Discover The Truth’ to respond to that! I always welcomed comments and even critics about my religions, but there is a way of doing so, which is called ‘professionalism, respectful, and so on’. An example of questioning something, which is your God’s given right, would be something like: Can you explain why such a verse talks about killing Jews or Christian? I have many Christians and Jewish friends, and yes, we talk about religion, but one thing we always do is not insulting my friends’ religious belief. They know I disagree with their belief and vice versa, but we still respect each other. So I really didn’t see any wrong doing from his response. I leave you with peace! You are doing a marvelous job. This is actually a big JIHAD. Maa Shaa Allah Good job regarding convey the truth. Mashallah. Beautiful explanation, JazakAllah Khair. except that there is no ‘sword’ mentioned anywhere in this chapter! Jay Smith recently wheeled out this verse – out of context – to ‘prove’ that Muslims must murder all Christians! Really brother u r doing a nice job. May Allah bless You and Reward you. Thank you for that illuminating explanation. Scholars can always reason among themselves and find the truth. The Sword Verse: Prophetic, Yet Often Misunderstood | Have You Met Islam?